I'm finally getting my Australia posts up! When we got back, I spent about 2 weeks trying to find the cable to import my photos before I finally sucked it up and just bought a new one! I've loved going through all of these pictures again and I'm so excited to be sharing our trip with you! The Pilot and I celebrated our 2-year wedding anniversary this year on the East Coast of Australia and it was easily one of the most incredible trips I've ever taken. I've wanted to go to Australia for years but have never seriously considered a trip because I've always been told that you need at least 3 weeks to go to Australia, that a trip less than 2 weeks isn't worth the flight to get there or the money you'll spend. The Pilot and I had exactly 10 days to spend in the country and even while we were there, reactions were mixed among the other travelers we met. Most people were shocked that we made such a long trip for such a short amount of time, one Aussie even went so far as to say we shouldn't have come at all because it wasn't enough time. 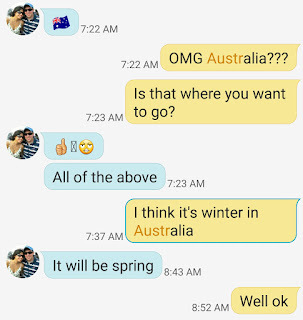 The language around traveling to Australia is pretty prohibitive. "Don't go unless you have at least 3 weeks." "Don't go unless you've saved up a fortune." "Don't go unless you have 5 days to spend in each state." If you get anything out of the posts I'm going to share with you over the next few days about out trip, I hope it's this: Go to Australia. We spent 10 days there and I think we would have had just as wonderful a trip with 7. Sure, we could have seen a lot more with more time, but the reality is that it's pretty rare for The Pilot (or anyone!) to get two weeks off from work. We went with the time we had and it was perfect. Did we see the entire country? Absolutely not, but why would I try to see all of Australia when I haven't even seen all of the U.S.? The Pilot and I left on a flight to Sydney with no agenda other than to take advice along the way and enjoy ourselves, and that's just what we did. 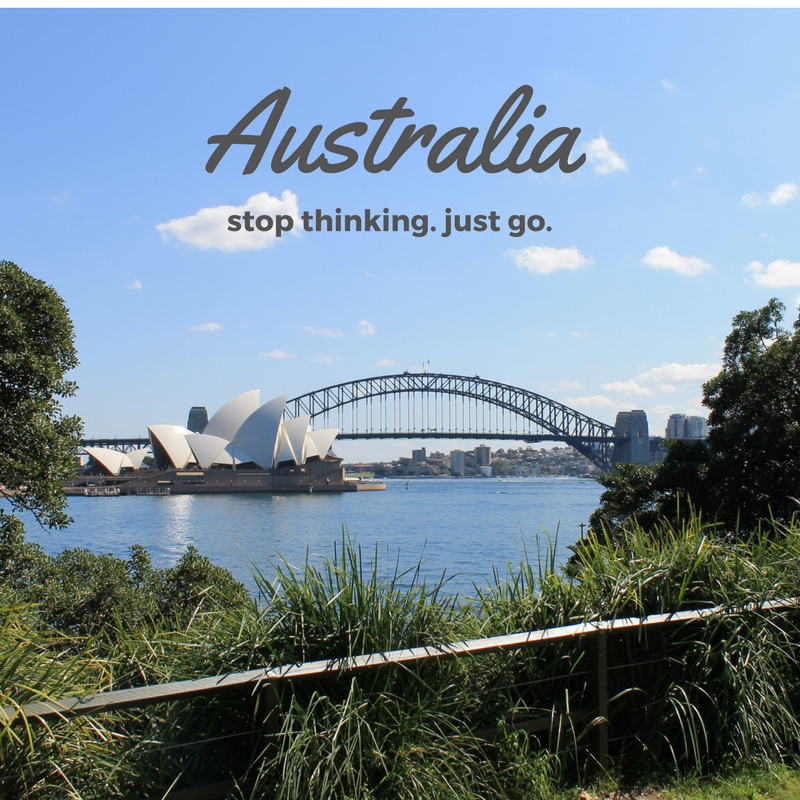 Through this post and the next few I'll write, I'm going to share details of our itinerary, but I'm also going to share what we didn't do to give you an idea of what you can realistically do in a 10-day trip down under! We flew into Sydney (via LA). We left DC on a Wednesday evening and arrived in Sydney on Friday morning. We were incredibly lucky to get upgraded to first class, which made the long haul flight and the time difference much more bearable. (Usually, the Pilot and I fly in middle seats on opposite sides of the plane, so this was a very, very welcome surprise!). 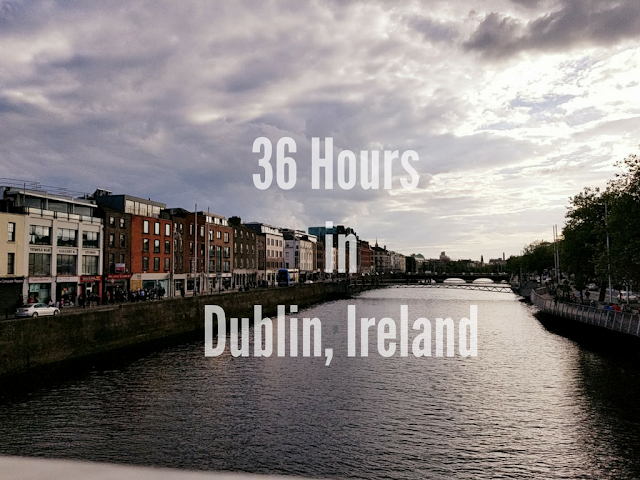 We stayed in Airbnbs everywhere we went which was so much more affordable than the hotels and in much better neighborhoods! In total, we had 5 full days in Sydney, 1 full day in Cairns, and 2 full days in Melbourne. My only regret was that we didn't spend an extra day in Melbourne. We had really bad weather (torrential freezing rain) the first day we were there which put a damper on things (literally) and the only reason we spent an extra day in Sydney on the way back is because we couldn't get on a flight home on Sunday! We didn't go to Uluru (Ayer's Rock). The flight takes almost 4 hours each way and then you have to hire a bus tour or rent a car to take you to the rock. We asked a lot of people whether we should do it and the general consensus was, "You fly 8 hours round trip and then walk around a giant rock for 3 hours." The appeal of Uluru is that it's in the Australian Outback.On a longer trip to Australia, I wold probably make the trip on my way out West, but we didn't feel a desperate need to get there. We didn't go to the Kuranda Rainforest. The Pilot and I both wanted to do this while we were in Cairns, but the "Airbnb" we booked was not an Airbnb and we actually had a pretty terrible experience in Cairns and booked the first flight out of there that we could, spending only 24 hours in the city. If I ever go back to Australia, I might make a trip back to Queensland to see Kuranda, but I definitely wouldn't go back to Cairns. We didn't go wine tasting. The Pilot and I wanted to go wine tasting in the Yarra Valley near Melbourne, but as I mentioned, the weather in Melbourne was pretty terrible. We could have opted to go to Uluru instead of Ayer's Rock and we could have spent one fewer day in Sydney in favor of an extra day in Cairns, but, aside from wanting an extra day in Melbourne, I wouldn't have changed a thing! We did have an unbelievable time and I wouldn't change a thing about our trip! 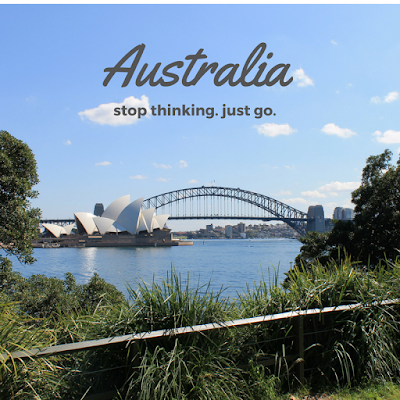 I hope you fall in love with Australia just as much as I did as I share all about our trip in these next few posts and, more than anything, I hope you realize that you definitely don't need all the time in the world to plan a trip Down Under! 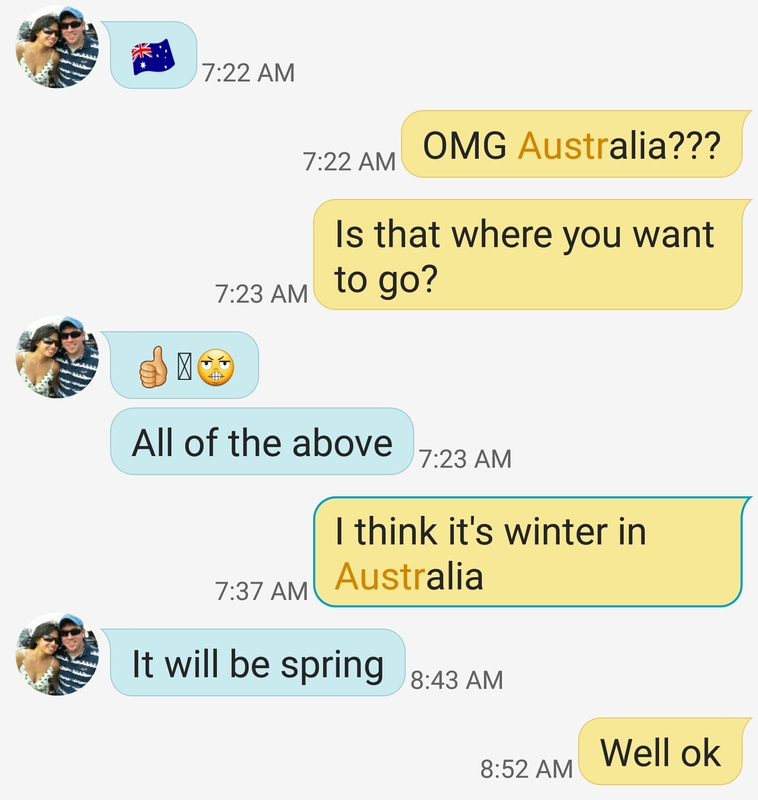 Have you been to Australia? Is it on your bucket list? My next post will be all about Sydney!